Ah, Louisville. We know horse racing. We know baseball bats. And, oh man, do we know alcoholic beverages. The latter is the reason the Heyward, Calif.-based American Distilling Institute is hosting its 2015 Annual Spirits Conference at the Kentucky International Convention Center from March 30 to April 2. There’s still time to register, and you can find aschedule of conference events here. Institute founder Bill Owens told me this morning that Louisville’s location in the middle of bourbon country, along with its network of suppliers and related businesses, makes it an ideal location for the conference. The institute has had its conference here before, he said. But these events are becoming a bigger deal as the industry is growing across the country. Consider this: In the conference’s first year, back in the early 2000s, 87 people attended. This time, Owens expects about 1,000 registered national and international guests. Those visitors will be staying in our hotels, eating at our restaurants and otherwise giving the city an economic fist bump, of course. 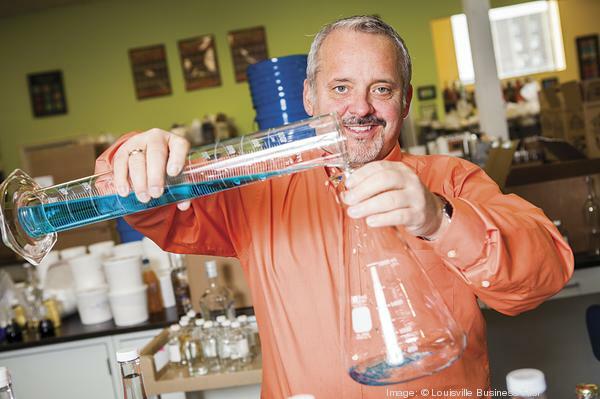 David Dafoe, founder and chief operating officer of Louisville-based beverage consultants Flavorman, worked with Louisville Mayor Greg Fischer and the Louisville Convention and Visitors Bureau to help bring the conference here this year. “We think it’s important (for the conference to be here) because part of what we’ve been doing all along is saying this is the epicenter” of the distilling business, Dafoe said. Dafoe said the American Distilling Institute’s conference was one of the first to bring the industry together. It was at an American Distilling Institute conference in 2009 that he came up with the idea for the Distilled Spirits Epicenter LLC — Flavorman’s sister company, which aims to be a one-stop shop for distilling startups.